You don't have to struggle through this on your own. Are you often overcome with worry and dread? Experiencing occasional anxiety is a normal part of life. However, when feelings of anxiety and panic interfere with your daily activities – it is time to reach out and get help. Do you have anxious thoughts that prevent you from sleeping? Do you experience frequent panic attacks? Do you avoid places or situations that trigger feelings of impending danger, panic, or doom? 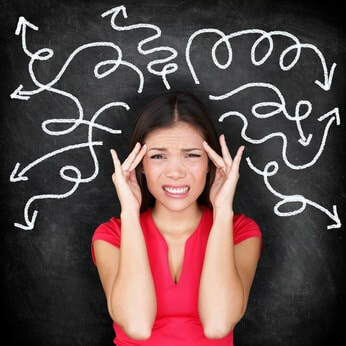 ​Our therapists will work with you to control your anxiety. We can help you identify and avoid anxiety-triggering situations and change your thinking patterns. At Lake Cook Behavioral Health, our therapists provides individualized, tailor-made counseling, suited to your specific needs. In therapy, we will introduce you to effective techniques that you can use to calm your thoughts and stop worrisome thoughts from controlling you. We will work with you in a respectful and supportive way, providing you with the guidance and care you need along the way. Counseling is often successful in bringing calm and reducing the physical effects of stress. Gaining control over anxiety has been known to allow individuals the head-space to focus on goals and priorities. Reducing your anxiety may help you sleep better, feel healthier, and live a more fulfilled life. You can work to rebuild relationships and get more involved in your home and work life. Our therapists are here to help you meet your goals. You can change the way you react to stress. Anxiety may be making you feel overwhelmed and isolated. Anxiety disorders are the most common mental health disorders. They affect 18% of adults in the United States in any given year, with a lifetime prevalence of 29% of all Americans (National Institute of Mental Health). ​Let our therapists work with you to move forward and make tangible improvements in your life. Call now to make an appointment, or just fill out the contact form and click Submit.